VeryPDF XPS to Any Converter is developed for converting XPS to PDF, PS, EPS, JPEG, BMP, PNG, PCX, GIF, TGA and TIFF formats. VeryPDF XPS to Any Converter is built for converting XPS format to PDF, PS, EPS, JPG, BMP, PNG, PCX, GIF, TGA and TIFF. The application supports custom page size, resolution, color depth and compression in conversion from XPS to other image formats except PDF, PS, and EPS. It also supports converting a multipage XPS file to a multipage TIFF image. It can convert specified pages of a XPS to the target formats. XPS file format designed in 2006 by Microsoft as a solution for sharing and archiving documents. XPS was introduced in Windows Vista as alternative of Adobe PDF format. Microsoft Office 2007 and all newer versions of this software contain ability to export documents to XPS. As you see, sharing XPS documents between Windows computers is easy. But what if your customer works on Mac or prefers to check email on iPad? Both of these devices don't have preinstalled software to open XPS files. But both of them can open PDF and JPG! By the way, all computers now are able to open PDF files. It's a default capacity of Windows 8, for example. In case you have older Windows versions, PDF Reader is provided by Adobe free of charge. PDF files can even be opened by Android! To share XPS files one usually needs to convert them to PDF, and the easiest way to do so is to convert the XPS files to PDF files using VeryPDF XPS to Any Converter. 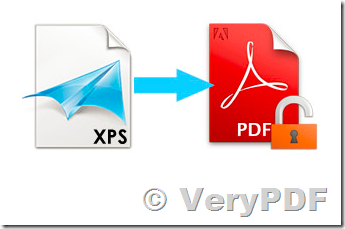 * Batch convert XPS files to PDF documents. * Don't need Adobe Reader, Acrobat and other third-party software. * Support command prompt operations. 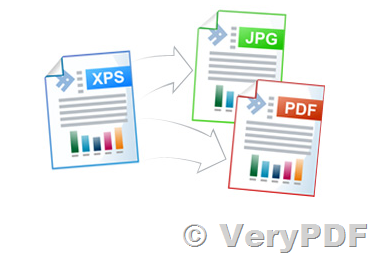 * Convert XPS to ten formats including PDF, PS, EPS, JPEG, BMP, PNG, PCX, GIF, TGA and TIFF. * Name created multiple images with continuous number suffix. * Specify page range to convert multipage XPS. * Resize page size in unit of pixel. * Reset resolution in DPI. * Change color depth to 1, 8 or 24 bits. * Apply compression methods including CCITT Group 3/4 fax encoding, LZW compression algorithm, PackBits, Faxable TIFF, etc. 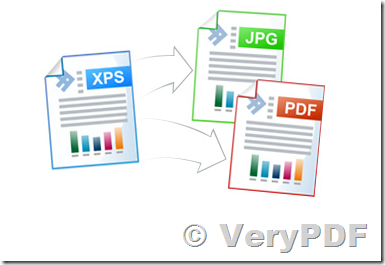 * Option to convert multipage XPS to multipage PDF or single page PDF files. * Support owner password and user password protected PDF files. * Standalone software, Adobe Acrobat and Adobe Reader NOT required! * Support English, French, German, Italian, Chinese Simplified, Chinese Traditional, Czech, Danish, Dutch, Japanese, Korean, Norwegian, Polish, Portuguese, Russian, Spanish, Swedish, Thai, etc. languages. * Interpret XPS file directly, without depend on .NET platform. * Native XPS processing, fast and precise. 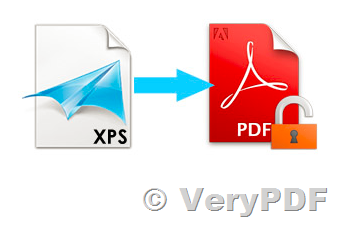 * Convert XPS document to PDF file directly, without via a printer driver. The resulting PDF is also a vector PDF, retaining as much vector information as possible. * Windows 98/ME/NT/2000/XP/Vista (both 32bit and 64bit) support. * Our XPS to PDF Converter is a standalone product. It doesn’t require any Microsoft XPS software viewers or XPS & PDF generating applications for conversion. * Set the document title, subject, author, keywords, producer, creator options into PDF file. * Password protection for PDF file with 40 or 128 bit encryption. * Create "owner password" and "user password" protected PDF file. * Able to add printing, copying and changing etc. permissions to output PDF file. * Optimize for fast web view, PDF linearization, PDF optimization (linearize). 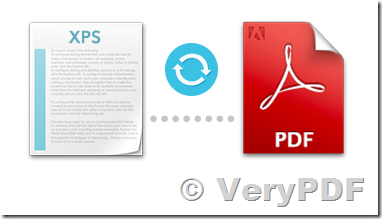 * Support for transparency during XPS to PDF conversion. * Support Alpha channel transparency. * Full support of the XPS specification. * Very high quality rendering at speed. This entry was posted in XPS to PDF Converter and tagged xps converter, xps to bmp, xps to eps, xps to gif, xps to jpeg, xps to pcx, xps to pdf, xps to png, xps to ps, XPS to tiff. Bookmark the permalink.